Under-investment in power generation coupled with El Nino-induced drought has driven energy poverty in the country to crisis level. As Malawians mull over how the power outages stunted economic development in the past two years, there is now a beam of light on the horizon, writes TIONE ANDISENI of Malawi News Agency. Dowa – Mayi Alefa Banda coughs as she walks out of a maize mill at Mponela in Dowa. Her expression on her face tells a story of happiness. “It is like a miracle for me to spend about 30 minutes at this maize mill. Last December, we used to wait for hours and sometimes for a day to have our maize milled. Blackouts were a huge problem,” she explains. She is right because at the height of load-shedding, some areas like Mponela used to endure up to 20 hours of blackouts on some days. With blackouts haunting almost everyone, any discussion on the cause of the power crisis was blended with emotions, falsehoods, propaganda and even political tantrums. Any crisis has underlying causes and trigger factors. Identification of the root cause of blackouts demands an honest pursuit of the truth through meticulous analysis. One economist who has done a duteous analysis and highlighted the root cause of the country’s power generation crisis is Dr Fanwell Kenala Bokosi. Take it or leave it, Bokosi is right. Since the attainment of independence in 1964, Malawi invested in power plants capable of generating about 360 megawatts only. To make matters worse, 99 percent of that installed capacity is from hydro-power plants on Shire River. That’s big trouble because when water levels in Shire River are low, power generation is adversely affected. With El Nino-engineered drought battering the region, the country’s over-dependence on hydro-electric power supply has been affected. The installed capacity for electricity of 360 megawatts tumbled to as low as 160 megawatts due to low water levels in Shire River last year. The chain effects are well-known as they include long hours of load-shedding, low production in industries, slow economic growth and even fatalities in hospitals. According to Escom Board Chairperson Dr Perks Ligoya, the low capacity of power supply forced the state-run power supplier to effect priority distribution of the available 160 megawatts. Rationing-wise, essential service providers like referral hospitals and the water boards, which together consume a total of 70 megawatts (MW) were prioritized leaving the remainder for distribution to industrial and domestic use. Should the nation blame the blackouts on El Nino-induced droughts? As far as President Peter Mutharika is concerned climate change is just the trigger of the problem which has an underlying factor that the country has not addressed for years. “Under-investment in the energy sector is the real cause of power crisis in Malawi,” he said recently. A snap look at developments in the energy sector in neighbouring countries supports Mutharika’s assertion. Unlike Malawi, which only generates a meagre 360 MW, neighbouring countries generate three to five times that capacity. Here is a quick comparison. Mozambique generates 2,300 megawatts while Zambia’s generation capacity is 1,900 megawatts. On its part, Tanzania generates 1,358 megawatts. Compare these capacities with Malawi’s 360 megawatts and Mutharika verdict is upheld. Indeed, Malawi has under-invested in power generation. With that reality in mind, it is important to admit that all the previous regimes never invested adequately in the power sector. As Bokosi explained this is partly as a result of the policy choices the country made. Another mistake Malawi made was to construct all major power plants on Shire River. The neighbouring countries avoided that trap of depending on one type of power generation. Tanzania is a case in point. Out of its installed power capacity of about 1,358 MW, 566.79 MW or 42 percent is from hydro-power plants, 607 MW or 45 percent is from natural gas and 173.40 MW or 13 percent is from liquid fuel. These are strategic investments because once climate change affects hydro-power generation, Tanzania relies on the natural gas and diesel (liquid fuel) power plants. Having suffered the humiliation of being labelled with monikers such as a nation in darkness and a nation with its priorities upside down, this is the time to do the needful. “Our plan is to do away with power shortage problems forever. 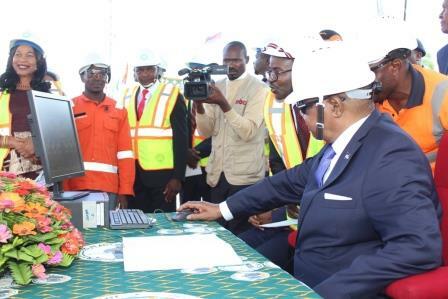 I want us to say farewell to blackouts forever….We have set in motion long term plans to eradicate the energy problem permanently,” Mutharika declared with optimism recently. Within five years, according to the president, Malawi will be generating over 1400 megawatts of coal fired power; about 700 megawatts of hydropower; and 70 megawatts of solar energy. The strategy also entails connecting Malawi to the regional power pool so that in times of shortages, electricity can be tapped from neigbouring countries. The question being asked is whether the plan power the economy with many energy sources is realistic or hot air usually made in the run up to elections. A number of projects, already at advanced stage, demonstrate government’s resoluteness in scaling up power generation. By mid this year, the plan is to ensure that installed capacity jumps from the current 360 MW to 468MW. This will be followed by another increase to 538MW by mid-2019 and to 830MW by 2021. The secret to achievement of the target lies in the completion and commissioning of power generation projects that are within a 3-year window. The immediate project which has added a boost to the capacity is the installation of 55 MW diesel gensets. Another project to add 20MW to the grid from December this year is the solar plant, currently under construction. By June next year, the solar plants running from 4 sites will add a total of 70MW. Besides generating power from diesel and solar plants, another game changer is the 300 MW coal-power plant being constructed at Kammwamba with funding from China. With 300 MW from the plant added to the grid by end 2020, blackouts will be history. Besides investing in alternative sources of power, upgrades at Nkula A, Tedzani III and construction at Tedzani IV hydro-power plants are underway as feasibility studies for new power stations at Mpatamanga, Fufu, Kholombidzo and Lower Songwe falls are in the pipeline. The multi-million dollar strategic investments Malawi has made in the power sector are poised to make a huge difference in the economy. “Once we have enough power supply, then we can move with full speed into large scale manufacturing, mining and commercial irrigation. This dream is possible now more than ever before,” opines Mutharika.